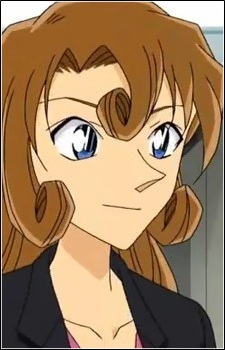 Kudou Yukiko is the mother of Kudou Shinichi and, along with her husband Yuusaku, one of few characters who knows he is Edogawa Conan. She was once a famous actress, but retired after marrying Yuusaku. She was also close friends with fellow actress, Sharon Vineyard, both being excellent masters of disguise. Despite her then-tender years as a student at Teitan High, Yukiko had a prospectively prosperous future in the film industry. Thus it came as a major surprise to the world when, practically out of the blue, she married Kudou Yuusaku and retired from acting. She still retains good contacts in the acting and film industry, however, and has since become known as the "Night Baroness" (named after one of her husband's characters) after babbling out some clues provided by Yuusaku on a live television show which helped solve a criminal case. During her acting years, Yukiko went to a famous stage magician and disguise artist to learn the finer arts of disguise for a role she was preparing to play. There she met another actress who would become one of her closest friends, Sharon Vineyard. Until Sharon's (supposed) death, the two women stayed in touch, and Yukiko even attended her funeral, but her appearance was overshadowed by a small scandal involving Sharon's 'daughter', Chris Vineyard. Yukiko has since learned from her son about Chris/Sharon's secret life, a revelation which troubles her deeply. She has since confronted her former friend with her knowledge, partially to know for sure, but also to save the life of Haibara Ai, who was being threatened by the Black Organization. Despite her adult age, Yukiko still behaves like a teenager. She is bubbly, overconfident and attention-seeking, and prefers to stand in the lime-light (literally) whenever possible. She can be prone to jealousy over Yuusaku's occasionally flirtatious behavior, and can demonstrate impulsive tendencies. She is an extremely reckless driver and very sensitive about her age: whenever her son dares to call her "oba-san", she sets up such a furious face that Conan must quickly correct himself by calling her "onee-san".